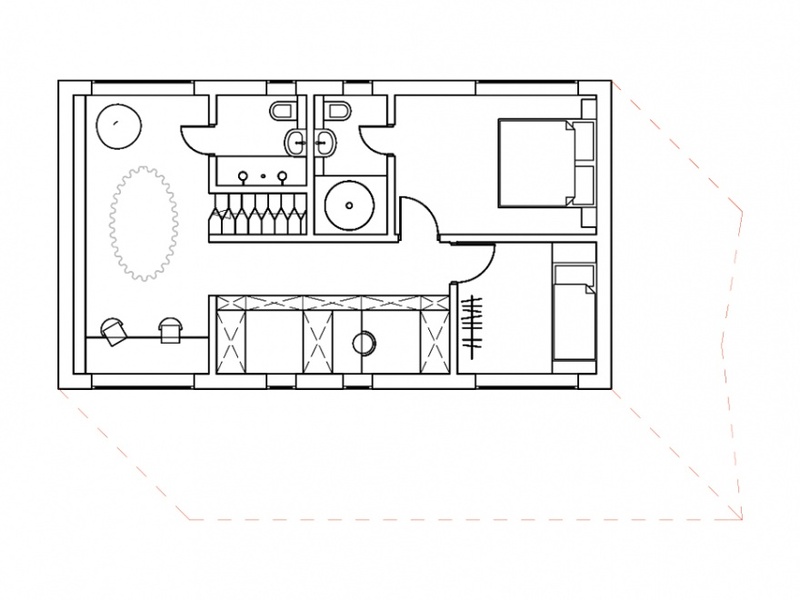 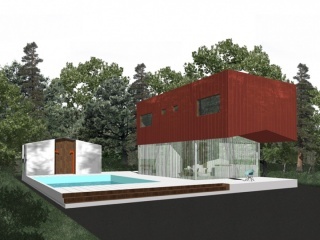 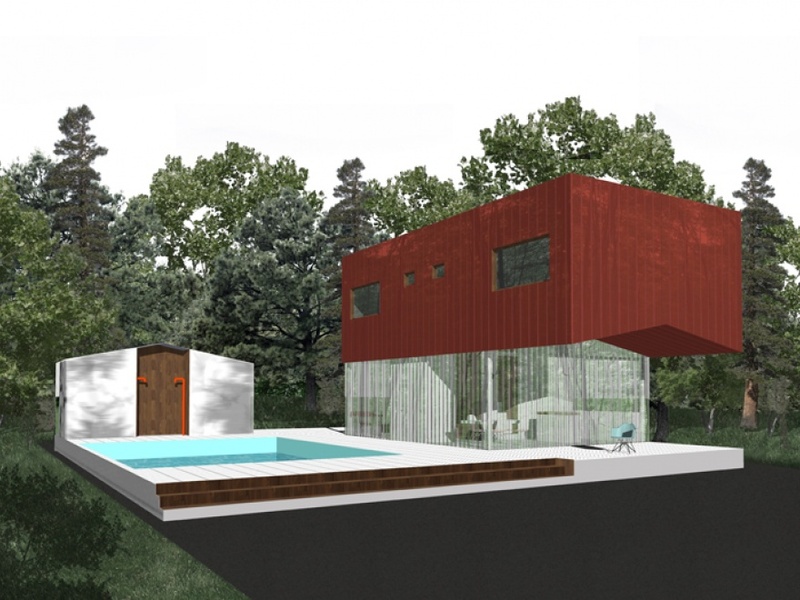 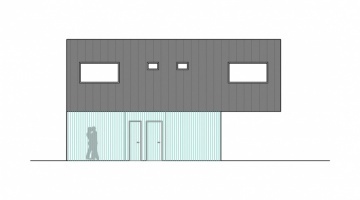 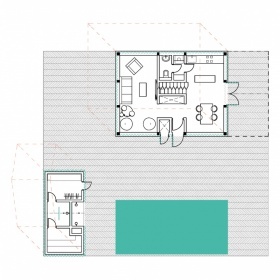 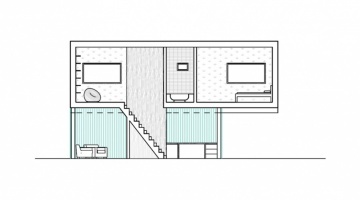 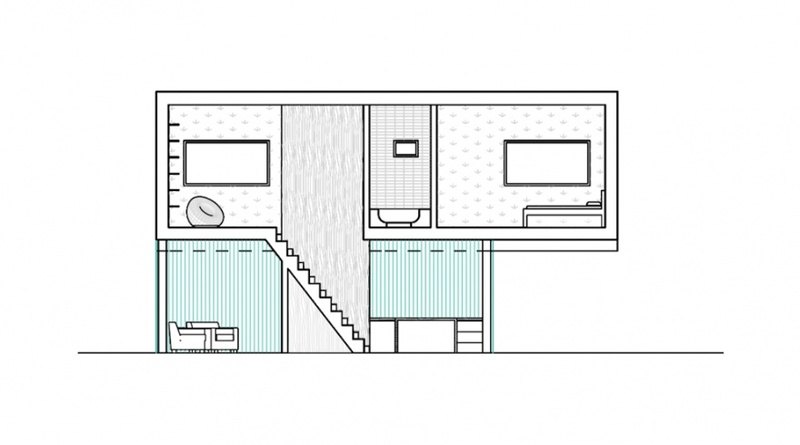 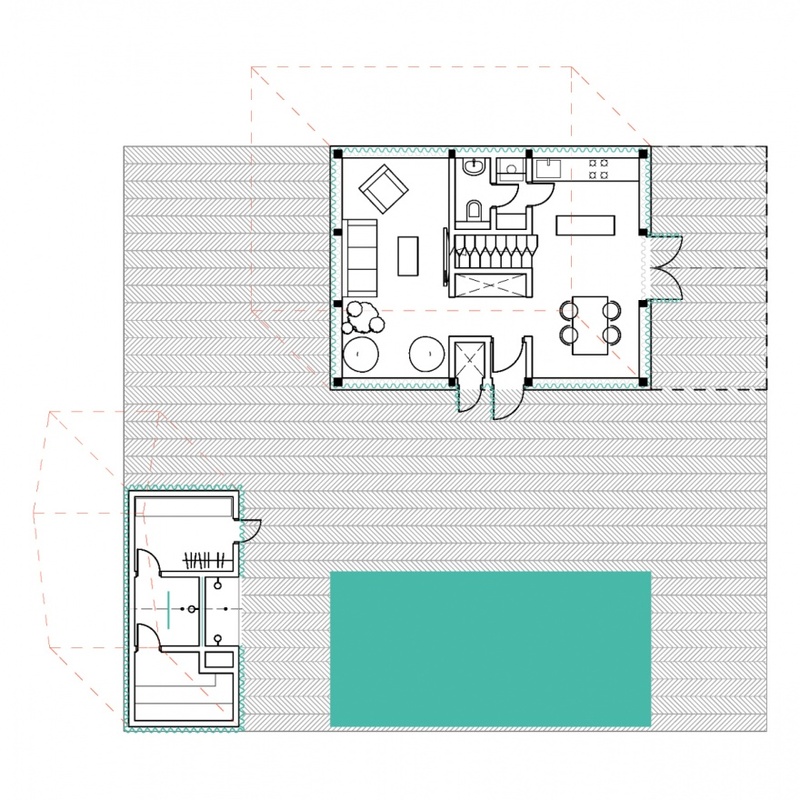 This compact house consists of an open ground level, enclosed upper level and a separate sauna. 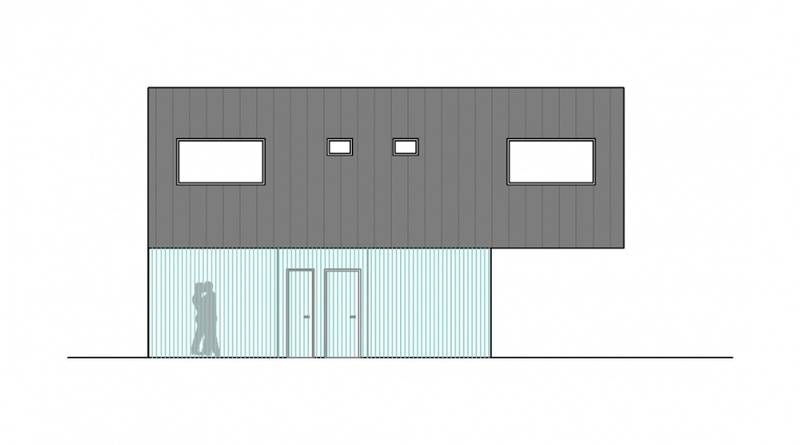 Together, these volumes combine to form a cuboid through which the silhouette of a gable roofed house has been sliced. 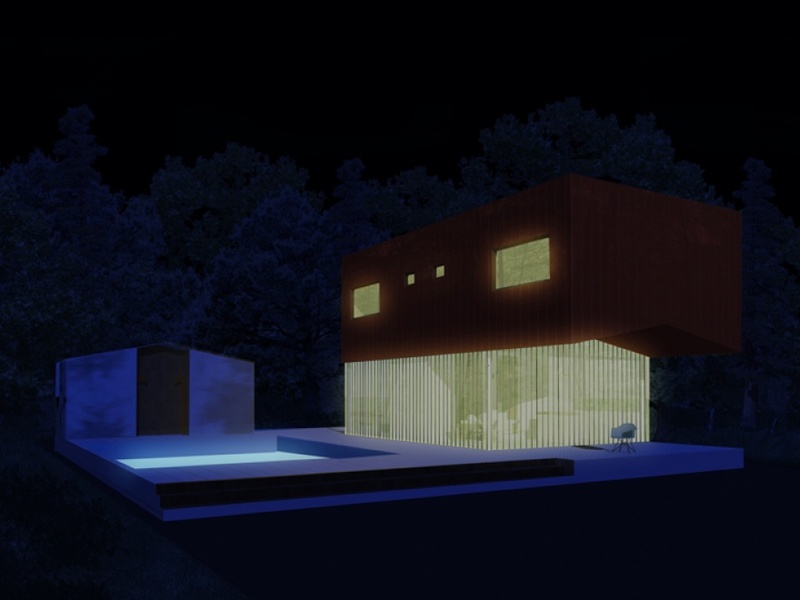 The top structure is clad in sheet metal, while the ground level is concealed behind a veil like glass curtain wall. 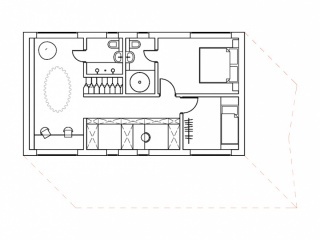 All the elements are grouped within a single slab which also contains a pool.